Back in 2000, Tim Berners-Lee spoke at a conference in London and branded "the practice of publishing ads that are indistinguishable from content unacceptable". 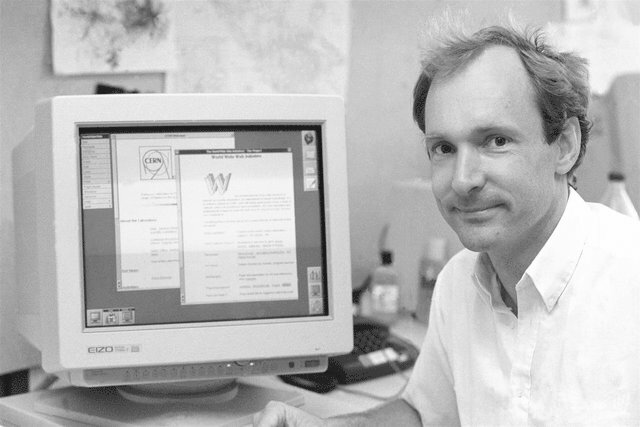 As native advertising asserts itself as a buzz trend among marketers in 2014 - the 25-year anniversary of the World Wide Web - Berners-Lee's damning words are especially poignant. Read Marketing's story from June 2000, below. Tim Berners-Lee, inventor of the World Wide Web, has little positive to say about advertisers who dress their online ads up to look like content. "I find the practice of publishing ads that are indistinguishable from content unacceptable. It not only clouds the true message of the page. It also erodes consumer confidence in the web site," said Berners-Lee, who spoke at the International Advertising Association in London last week. He also slammed Microsoft's practice of attaching ads to emails sent by users of its Hotmail service, saying that it "either perverts or distorts the message." While some would say Berners-Lee has a reputation for being somewhat inflammatory, "You can't dismiss what Tim Berners-Lee has to say," said Christopher Lochhead, chief marketing officer for Scient, a company that develops e-businesses. "Obviously, he has played a huge role in getting the internet to where it is today, but I think he needs to take into account the fact that advertisers have underwritten much of the success of the internet as well. The internet is free because of advertisers. On the other hand, advertisers need to be responsible for the ads that they run. If they mislead or trick the consumer, they annihilate you." Rich Lafurgy, president of the Internet Advertising Bureau, had a similar take on Berners-Lee's comments. "I think he needs to wake up and smell the coffee that online ads are here to stay," he said. "Gone are the days when heads of media companies were saying that the purpose of online advertising was to blur the difference between content and ads. We've reached a pretty good balance between editorial content and advertisements. If you misuse the trust consumers place on you they will eventually go away from your site." Still, Berners-Lee suggested that advertisers clearly draw the line between what is an advertisement and what is content. "Newspapers insert a line saying an ad is an advertisement when it looks confusing," he said. "I want to see something similar on a web page. Perhaps the mouse should change when it passes over an ad to alert you to the fact."